The west coast of Ireland is famous for harsh weather, and the weather at this year’s Siege of Limerick was no exception. Limerick threw very strong winds, hail, and sun all within the same game. Teams needed good zone defense and strong handlers to come away victorious. Dublin’s Ranelagh won the men’s division this year, while Dublin Gravity took the gold in the women’s division. Other standout performances included both GB U24 squads and Trinity College Dublin (men’s) and University College Cork (women’s). Ranelagh took on GB U24 in this year’s final. GB U24 had already beaten Ranelagh in the first group game of the tournament 8-2, and revenge was definitely on the cards. Ranelagh came out on top in this windswept affair. The severe crosswind wreaked havoc on both teams’ deep games in the first half. Ranelagh was more conservative and was able to play through the wind more effectively than the GB team, taking half 7-2. The GB defense was impressive in terms of switching and tight endzone coverage, which generated ample turns. However, the D-line offense struggled to get any upwind flow. Coming out of half GB got a short field turn followed by a great deep shot, but an unfortunate throwaway delivered a chance for Ranelagh to take the win and they did: 8-4. Ranelagh started the weekend with two wins, and one loss in their group games. A 13-2 blowout against Cork Rebel seemed to forecast dominance, but an 8-2 loss to GB U24 and a close 12-10 victory against Scotland’s Alba 21 showed that the team had some kinks to work out. However, their Sunday performances were nothing short of dominant. They notched a 13-3 victory over Gent, Belgium’s Gentle, followed by another 13-3 win over Alba 1. This set up the final, a rematch with GB U24 where they maintained consistent control. 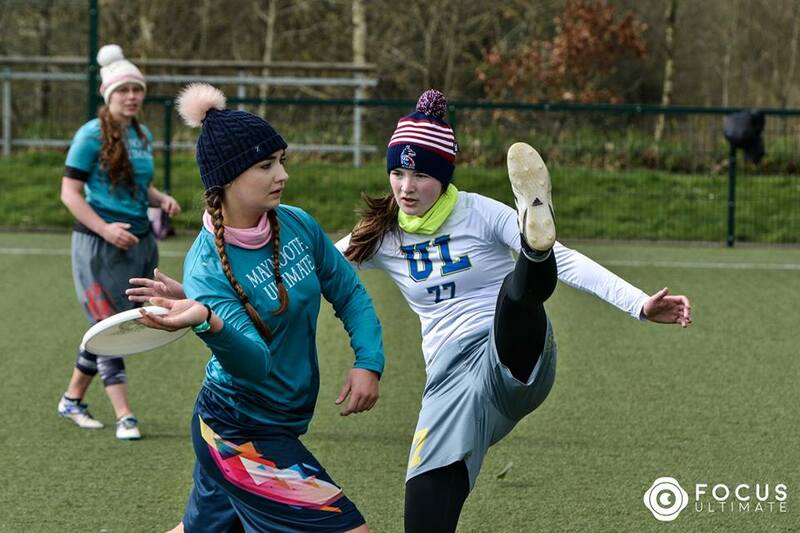 Ranelagh put together a set of results when it was needed, they look in good form for the All-Ireland Ultimate Championship and UK Nationals, particularly with Limerick PELT and Rebel’s disappointing results. PELT was seeded first going into the weekend, and had a good Saturday only losing to Alba 1 by two points. This gave them the 3rd seed going into Sunday morning. However, things then did not go too well for PELT on Sunday. After losing to Rebel 13-6 in the first game they had to face the high flyers of the tournament in Trinity College. They lost to Trinity as well finished 7th at the tournament. This is not where the current Irish champions were looking to finish. PELT will need to improve as the season progresses, but it is better to have problems now rather than at the All-Ireland Ultimate Championship. 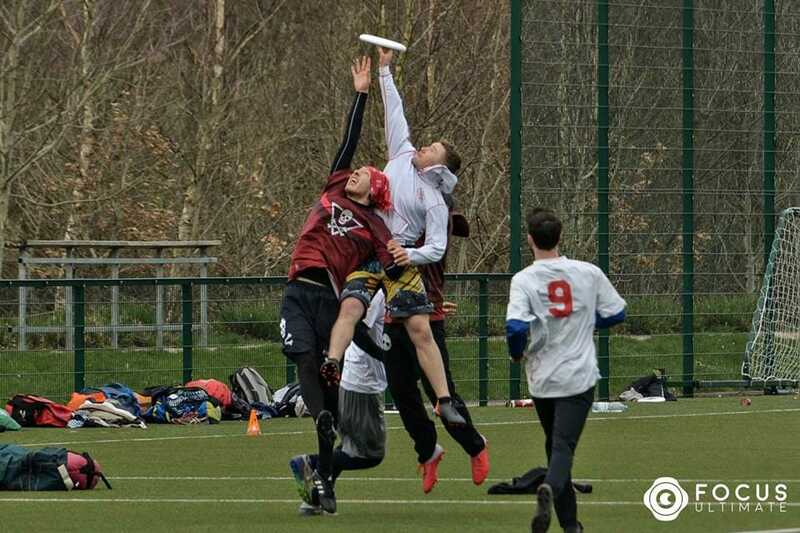 Trinity College Dublin came into the weekend seeded 10th, and were the only team to win their crossover and make the transition into the top bracket. They did have the easiest matchup against a weaker Reading team who finished the tournament in 16th place but Trinity grabbed the opportunity despite losing 9-6 to eventual finalists in GB U24 in their first game. Trinity played PELT next, and coming out on top of the World Ultimate Club Championship representatives 12-10. They then beat Alba 2 convincingly 10-6 to claim 5th place in the overall standings. This is a very promising result that should boost their confidence for the coming season. The two big worries for this GB squad coming into this tournament was lack of chemistry and the fact that they were missing some big players due to other GB-based commitments. Judging by their performance this weekend, neither of these problems manifested themselves. After an uncertain start against Alba 2, the proceeded to roll over both Ranelagh and Rebel 8-2 and 13-5 respectively on Saturday. On Sunday they beat Trinity College and Rebel (again) before losing to Ranelagh in the final in the classic ultimate cliche of not being able to beat a team twice at the same tournament. Ross Nugent and Chun Lee were standouts behind the disc, seemingly unperturbed by the ridiculous conditions. Adam Vaslet made some massive plays on the defensive side that showed that this squad has talent throughout, and is not just relying on star power. GB U24 is a team to look out for in Germany for certain. Dublin Gravity played University College Cork (UCC) in the final. This game was full of incredible plays on both sides of the disc. UCC made an impressive run to the final but losing two top stars Emma Healy and Sinead Dunne put them at a significant disadvantage. Dunne may have been the player of the tournament and her presence was sorely missed by UCC in the final. Gravity were ruthless in this game, going 6-0 up right from the start and taking half 7-1. UCC played impressive defense with multiple players getting footblocks. However, UCC struggled to hit their options on offense, fighting both the wind and the tight Gravity defense. Gravity came out deserved winners in the end with a but a less weather dependent match with a full UCC squad will likely make for a much closer game that we will hopefully get to see later this season. 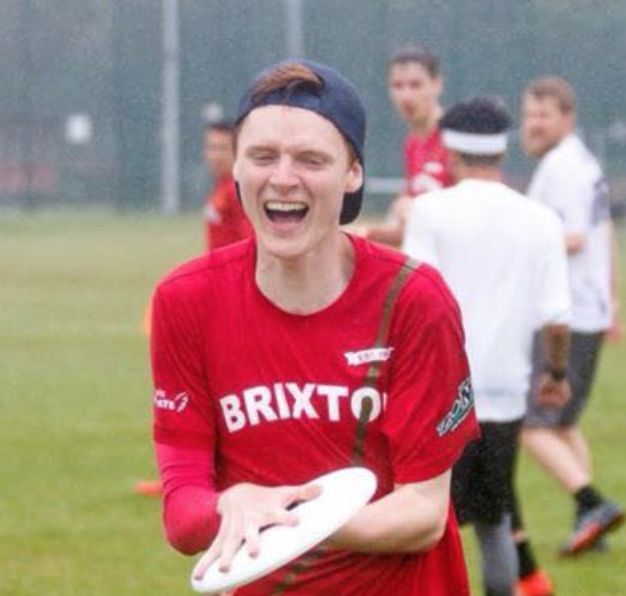 Billy is an ultimate player based in Reading, England currently playing for Reading Ultimate, having had seasons with Norwich Ultimate, Brixton Angels and Bench Ultimate. You can contact him by email (blawrancethorne@gmail.com). Comments on "Siege of Limerick 2019: Tournament Recap"